What Jesus accomplished on the cross is far more than the avoidance of hell. 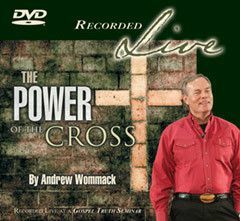 This teaching will change the way you see the cross and will help you more fully understand what Jesus did on the cross. The crucifixion of Christ is the centerpiece of world history. 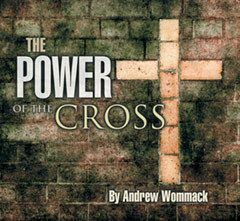 Yet few understand what the real meaning and power of the cross is. It means so much more than just the wooden instrument of crucifixion or self denial. Listen as Andrew explains. Will God answer your prayer if you're living in sin? How would you feel if the answer was yes? Would you think your efforts of reading the Bible, praying, and attending church were all in vain? Don't miss this message. The cross has enemies, but it may surprise you to learn who they are. The Apostle Paul had a sure cure for these people, and although it wasn't implemented, it reflected the severity of the false doctrine that was being taught. When you hear what it was, it may shock you. Is there really a hell, or is it just scriptural symbolism? The answer seems to be in doubt in the church today. Some believe in ultimate reconciliation or universalism, while others believe in eternal hellfire. So, what is the truth? Andrew's message leaves no doubt. Have you ever asked yourself what Jesus meant when, just before dying on the cross, He said, "It is finished"? What was finished: His life, His work, His purpose — what? The correct answer can change your life.